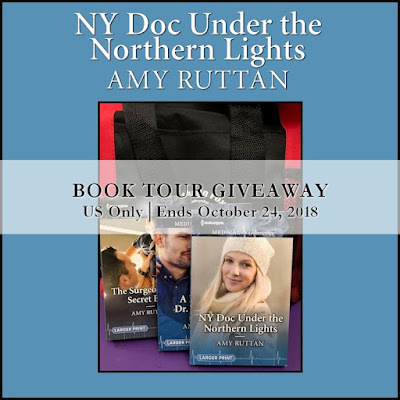 Welcome to the book tour for NY Doc Under the Northern Lights by Amy Ruttan. Along the way, you will find excerpts, guest posts, interviews, and reviews. Today I have my review to share with you. 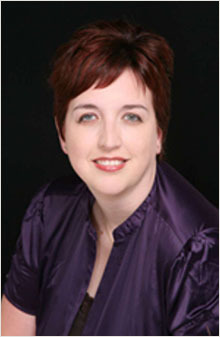 You can read a character interview with Dr. Alex Sturlusson over at one of my other blogs, Books to Light Your Fire. Please leave questions and comments for the author and then be sure to enter the great giveaway at the end! Ireland is a cold place, but also a beautiful place. And while Betty and Axel may start out with a bit of chill in the air, the slow-building fire between them definitely heats everything up and leaves you warm and fuzzy. Both of them are dealing with difficult pasts. Betty had her heart broken when her ex-boyfriend left her to marry another woman after spending months belittling her in the hospital back in New York. Axel was the only survivor in a tragic helicopter accident that killed his brother, leaving him to raise his niece as his own. His father has never forgiven him for surviving and also belittles him in the hospital in Iceland. The two of them have a lot more in common than they realize at first, which lays the foundation for a great connection. 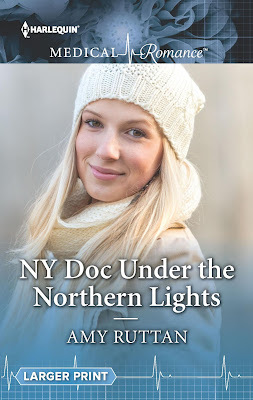 They ride a roller coaster of emotions while getting to know each other, being thrust into difficult situations in the hospital, and trying to heal from their pasts. They immediately click in the operating room and when caring for others, so it's no surprise that they click in a relationship as well. They don't realize how much they need each other until it's almost too late. Yes, there is a formulaic plot of sorts. I don't care. It's still a fun twist on an old storyline that has all kinds of unique elements to keep the pages turning. I needed something easy and uplifting the weekend that I read it. 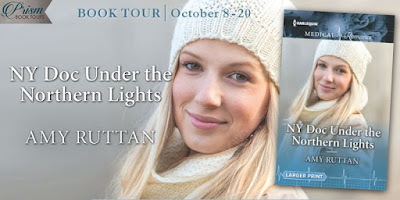 And how can you beat spending time together under the famed Northern Lights? I also enjoyed getting to know more about Iceland along the way. I have friends and family who have visited and loved every minute of it. I felt like I got to know a bit more about little bits they may have experienced on their trips. I love reading about romance in faraway places. It adds to the dreamy nature of the story. So glad you enjoyed it. Thank you for the great review!